How to get to Koh Phi Phi from Bangkok is straight forward enough and depends on how you want to travel. There are 3 main ways of getting to Koh Phi Phi from Bangkok. The headline way is to take the plane 850 km from Bangkok to Phuket Airport. The second way to do this is by train and then there is bus. Getting to the island the quickest way is to go from Suvarnabhumi Airport Bangkok and fly to Phuket International Airport. There are a dozen flights a day in high season on Boeing 747-400 starting at 7am and finishing at 9pm. There are 9 flights a day in low season May till October. If your wondering how to get to Koh Phi Phi from Bangkok by plane but there is no airport on Phi Phi you are right. There was a water plane that landed at Loh Bagao beach but is discontinued now. When you get to Phuket airport it is probably easiest to hook up with an efficient transfer system that organizes the transfer on Phuket and ferry to Phi Phi. These transfer systems make getting to Koh Phi Phi easy with accurate ferry timetables and all the taxi bus ferry speedboat options available. If you are getting to Koh Phi Phi from Bangkok by bus you need to get to the south west bus terminal to get the local VIP buses or get over to Khao San Road the travellers hang out and place to get excellent budget information on Thailand. These buses run over night and get you to Krabi town (closer than Phuket) where you can get your Krabi to Koh Phi Phi ferry with ease. The train is a little more complicated but perhaps more fun as it goes at a sedentary 50km an hour all night but allows you to take the sleeper train which is an experience in itself. Normally you jump train at Surat Thani and then get a connecting bus to Krabi Town, transfer to Koh Phi Phi as above. 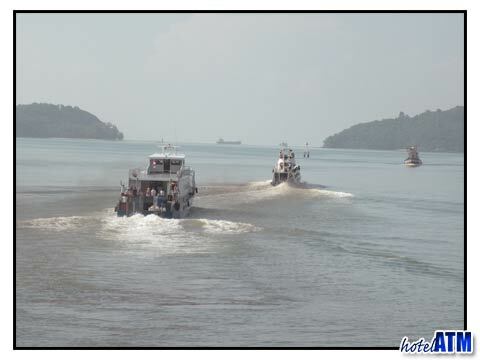 Probably the best stylish way to get to Koh Phi Phi is by speedboat and this is common way to arrive at the luxury Koh Phi Phi resorts of Zeavola Phi Phi Resort, Holiday Inn Phi Phi Island and Phi Phi Island Village Resort And Spa. As you blast along over the aquamarine sea you get a chance to experience the wonders of the Phang Nga Bay and the islands around Koh Phi Phi.